It’s Great To Hack Learning, But How About We Hacking Doing Instead? Yep, change this format to HD if you like. Red and Splotchy are even more vivid in HD. It’s only 8:38. I think you can stand me that long in HD. • Josh appears to be quite bright. I even call him brilliant, but I’ve been known to dole out that adjective with reckless abandon. • I’m fond of applying Pfeffer and Sutton’s lessons to personal living, too. Not just to companies because I don’t much care about companies any more. I’ve done the calculation before, but it was years ago. I think I was in my 30’s but I’m not sure. Then, the other day I was wondering around the interwebs and visited the site of Robert D. You know Robert D, don’t you? Well, I do. He doesn’t know me, of course, but that’s beside the point. I read his blog, but I don’t remember ever visiting his home page. These things happen when you subscribe to a blog via RSS or you stumble onto somebody’s site because a link got shared via Twitter or Facebook. 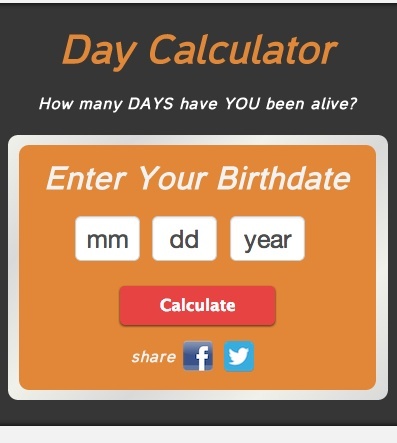 On his home page he has a Day Calculator that will tell you how many days you’ve been alive. I’m betting you tried to enter them over there at the left didn’t you? Go ahead. Admit it. I can’t blame you, but that’s just a screen snag of what it looks like over at John D’s site. Go over there and enter your birthdate and you’ll get what you’re looking for. I’ll wait for you. I’m betting your number is lower than mine. Am I right? Forget that 10,000 hour rule. It’s time to have a new rule. The 20,000 day rule. I don’t know what that rule would be except I did do the math. It would mean you were 54.79 years old. Yeah, I know. That doesn’t tell you much. I’m a John D fan and I think it’s a really cool device he’s got there on his home page. And even though I know it’s just a number I was thinking of how numbers define us. 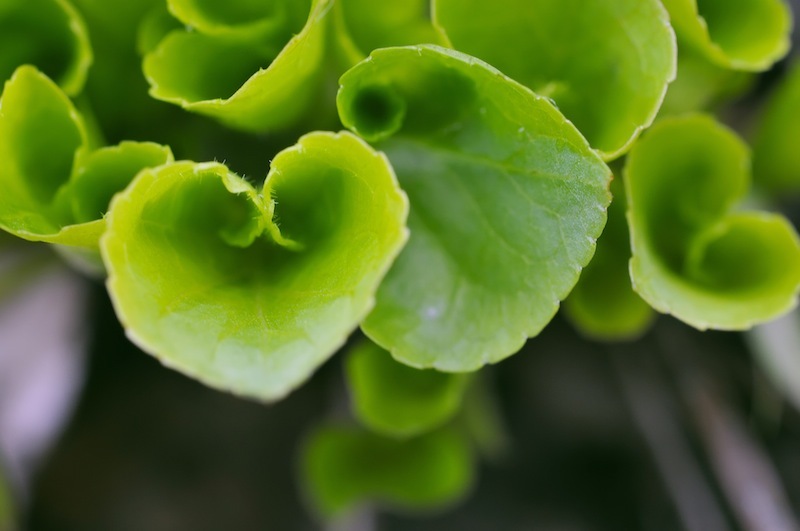 I started to say, “How we allow numbers to define us” but that’s not entirely true. Numbers DO define us. In so many ways. And not just our age. I’m betting the most important number in your life has a dollar sign in front of it. I don’t know what that number is, but it’s important to you. Maybe it’s the number of dollars you have in the bank or investment accounts. Maybe it’s the number of dollars you still owe a mortgage company. Maybe it’s the phantom number you think you need for a killer retirement. I don’t know. But I know it’s a number. I’m also betting it’s monumentally important to you. Maybe more than you’d like to admit. Probably more important to you if you’re a guy, than if you’re a gal. I could be wrong, but I’m betting I’m not. And I’m betting if you’re a guy past 45 it’s a number that is weighing heavier and heavier. Right? Sure I am. Because maybe I’m beginning to see the 20,000 day rule after all. By the time you’re 45, you’re only 16,425 days in. You’re in deep enough to be scared. Really scared. Scared you’re not going to make it to your number with a dollar sign in front of it. Scared your wildest dreams really aren’t going to come true. But you’re driven to press hard. Not yet wise enough to chase the most important things, but wise enough to know time is running out. Enter mid-life crisis…the quest to escape reality. For some a red sports car. For others, a younger woman. For yet others, a Harley. And still yet others, a desire to revert back to what you were good at as a kid. If you’re like me, you suppressed that desire. Mine was that last one. I sat on it for another decade before I’d actually do anything about it. A decade! Ten years. Think of it. I chased money and career for another 10 years because like you, I had a number with a dollar sign that defined me. Sure, it changed constantly. But that’s the thing about a number with a dollar sign. It’s not a definite number. It’s always on the move. You’ll never pin it down. The dollar sign is like a wild card. It gives the number the power to become whatever it needs to become. In this case, it becomes elusive! So, 3,650 days later – give or take – and the proverbial wall began to inch closer for me. It’s there. The wall. I don’t know how close or far away from it you are, but it’s coming. Just wait for it. Or run headlong into it like I did. Either way is fine really cause you can’t avoid it. It won’t kill you. You may wish you were dead, but the wall won’t ever kill you. It’s just another number, a moment in time defined by something you did or something that happened to you. Or an epiphany. Those are rare. I know ’cause I’m constantly looking for them. I’m like a bird watcher except for epiphanies. For me, the latest wall came into view at about the 20,300 day mark give or take. What’s a day or two when you’re talking about approaching a wall. Another wall. A new one. By the way, they’re all new. That wall you hit last year won’t likely resemble the one you’re gonna slam into tomorrow. Different day. Different wall. Different number. Life has many walls. I stopped counting sometime around wall number 57 I think. No, they’re not all huge. Some are really like those enormous speed bumps that you can’t go over without ripping the muffler off your car. Others are small enough you sort of go over them like you would railroad tracks. But then others stop you cold. You’re going along like nothing is the matter and BAM! Right out of Stephen King’s “Under The Dome” you hit something you never saw coming. I’ve been laid out, knocked out, dazed and confused. At other times I’ve been embarrassed like when you stumble up some steps in a public place. Walls have degrees of hardness. Today my number is 20,503. Well, to be more accurate, based on John D’s calculator, those are my days alive. I don’t know what my dollar sign number is any more. I’ve had so many of them I decided to let them go. I don’t know how high my days-alive-number will go. Today is day 32,777 for my father. So, if I live to be as old as he is today, I’ve got another 12,274 left before I expire. Sure, in light of recent events I’m thinking of days. And hours. But not really the numbers. More in how the numbers are invested. More in trying to come to grips with what am I doing with them. Here’s the big difference – well, one of the big differences – between your number of days and the other numbers that define you. Especially those dollar sign numbers that you’re busy chasing. The numbers that define us really are the numbers we’ve got. It’s who we are right now. That’s what matters. Who are you today? What are you today? That lake house you think would be cool to own doesn’t matter ’cause you don’t have it. So are you gonna waste your life sitting around looking at nice photos of lake houses? Are you gonna stay at the office a few hours extra so you’ll have enough money for the lake house? How is lusting for a future lake house going to make you better today? Me neither. But tomorrow is day 20,504 and I can tell you I’ve got big plans! I feel the hiatus coming to an end. It’s time to turn a new life over. • Checking Facebook no more than twice daily. Think 10am and 7pm. • Checking Twitter no more than twice daily. Yep, think 10am and 7am again. • Checking email no more than three times daily. Maybe a Dr. Pepper routine of 10, 2 and 4. • Writing something – anything – every single day. • Taking photographs of something – anything – every single day. • Talking with somebody about something emotional – happy, sad, frustrating, thrilling, etc. – every single day. • Avoiding books, articles, blog posts, podcasts or videos that are all about business and only business. • Listening to more music. This may be hard because I listen to a LOT of music. • Singing more (why don’t people sing more?). I need more privacy for this. • Drawing (I used to do this all the time). This will require discipline. • Picking up my guitar and for the first time with purposeful intention to learn 5 cords (G, D, C, A and E). This will require greater discipline than drawing. • Interviewing at least 2 people a week for the project – Chasing DFW Cool (I’m planning this and hope to get it started after the July 4th holiday). It’s that last thing that is the professional thing. I say “professional” and not “business” for a reason. I have no idea about making money with it. That’s not the point. I don’t even care about it. I’m going to launch Chasing DFW Cool because I want to. Because I know I can do it…and do it well. Because I know there are tons of people in this area – Dallas/Ft. Worth – doing cool things. Because I want to hear and share their stories. Making a living? Yes, I have to keep doing that. I’m not quite yet financially independent. Probably never will be. But I’m comfortable and debt-free — so that’s a good thing. A few months ago I went all in with a single client. It was the right thing to do. I’m fully vested – emotionally and otherwise – in helping him build his business. That’s the business part of life and for now, it’s the only business part of life. Mainly, because that’s how I want it and need it. I’ve always loved to plan and strategize. I’m known in business circles for being a very strategic thinker, but I’m working without a net these days because I feel it’s something I need to do. I need to just take the leap and GO! And I need to take the leap in creative endeavors, not business ones. Because I’m sick of business. Hey, these things happen after 40 years. I’m tired of business. Bored with it. Except for helping a single client. As for the podcasting – oh, that’ll continue. I’m going to get back on a schedule here very soon. I’m still sorting through all that. And I could use your help.